Here's Glassdoor's rankings of the CEO's of Warren Buffett's biggest holdings. Warren Buffett can hand-pick the CEOs of the companies Berkshire Hathaway (NYSE:BRK-A)(NYSE:BRK-B) owns outright, but that's not the case with the stocks in Berkshire Hathaway's portfolio. Since Buffett is a big believer that great management is key to long-term business success, let's see how employees rate the CEOs of his five biggest stock positions on Glassdoor. Buffett owns a massive 326 million-share stake in The Kraft Heinz Company (NASDAQ:KHC) that's worth $29.8 billion. That makes it Berkshire Hathaway's largest stock holding, but Buffett doesn't run Kraft Heinz. CEO Bernardo Hees does, and cost-cutting appears to have taken a toll on Hees' reputation with employees, based on their 25% approval rating on Glassdoor. In 2013, Berkshire Hathaway teamed up with venture-capital firm 3G Capital to buy H.J. Heinz, and in 2015, Heinz merged with Kraft Foods Group to create The Kraft Heinz Company. Hees, a partner of 3G Capital who left the top spot at Burger King to serve as Heinz's CEO in 2013, was awarded the top spot at the combined company, and at the time, his management team predicted $1.5 billion in cost savings from the merger by the end of 2017. By investors' measures, management's delivering on that promise. In the company's fourth-quarter earnings press release, cost savings were cited as a big reason operating income increased 22.8% year over year, despite slipping sales. Since its merger, KraftHeinz's operating margin has improved to the low twenties from the mid-teens, and its annualized net income has swelled to a record $3.63 billion. Unsurprisingly, that bottom-line performance has had KraftHeinz shares outperforming the S&P 500, with its shares returning 21% compared with the index's 15% return. Undeniably, competition in the bare-knuckle food industry is fierce, and consolidation to eke out savings is common. However, investors who believe that a company's long-term potential is best measured by happy and productive employees could be right to worry about employees' low approval rating of Hees on Glassdoor. Berkshire Hathaway recently trimmed its stake in Wells Fargo (NYSE:WFC) to keep ownership south of 10%, thus avoiding more stringent regulatory requirements. Yet Berkshire Hathaway's position in Wells Fargo remains huge, at over $20 billion. Buffett's stuck by his big bet on Wells Fargo, despite a high-profile scandal last year in which Wells Fargo branches created accounts for customers without their permission. Since news broke of the scandal, the company's replaced its CEO, but its financial results have lost momentum. Paying incentives on cross-selling consumers may have boosted pay for some workers, but it's also damaged relationships with other workers. In 2014, one employee wrote on Glassdoor that "cross-selling is the only focus now, firing employees who are great at their job in every area that should matter, but if the cross-selling results are not meeting the ever ridiculous quota (which continues to rise) than you may not have a job next month. Expectation for customers to say yes to cross-selling, leaving you with no real control of your job security. Stress!" The ouster of former CEO John Stumpf, who once trumpeted himself as "keeper of our company's culture," is the right move. His replacement, Tim Sloan, is a senior manager with over 25 years at the bank, so he certainly knows enough about the company's culture to make decisions necessary to get Wells Fargo back on track. However, it remains to be seen if he can keep employees happy and maintain that high CEO approval rating. Berkshire Hathaway is a longtime investor in Coca Cola Company (NYSE:KO), and CEO Muhtar Kent has a 75% approval rating among employees, according to Glassdoor. Kent started working for Coke in 1978, and he's been the company's CEO since 2008. He deserves a lot of credit for successfully managing Coca-Cola through the Great Recession. However, he's retiring soon, and his successor, James Quincey, is inheriting a business that's been seeing sales drop as consumers shift away from sugary drinks to healthier alternatives. Quincey's been the company's president and chief operating officer, and he'll take the reins from Kent on May 1. His long tenure at Coca-Cola means he has experience, but it doesn't guarantee he'll enjoy the same support from employees that Kent did. Investors should learn more about Quincey's plans for the future over the coming quarters, and until then, it's probably best to wait a while to see if the CEO approval rating changes after his first year on the job. Quincey does, however, appear to have the support of Buffett, who in December said, "I know James and like him, and believe the company has made a smart investment in its future with his selection." Berkshire Hathaway's got $13.7 billion riding on IBM (NYSE:IBM) CEO Virginia Rometty's success, and she's got a lot on her plate. IBM is in the midst of transforming itself into a growth technology company again, but declining demand for legacy products is still weighing down its top line. 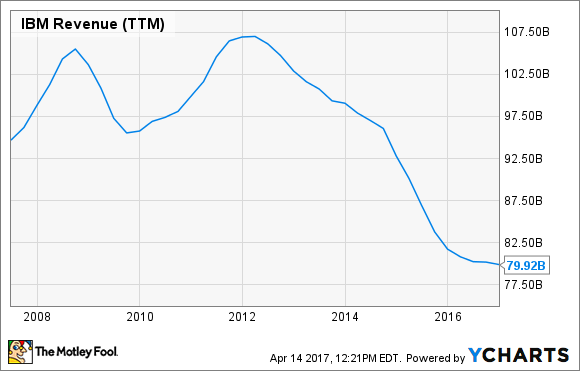 While IBM's revenue was topping $100 billion five years ago, its sales last year were below $80 billion. Rometty won IBM's top spot in 2012, and since then, she's been investing considerably into fast-growing markets like cloud computing that management dubs "strategic imperatives." Her big push into growing technology markets is gaining traction, and double-digit sales growth in those markets means that their revenue now represents over 40% of companywide sales; however, there's still work to do. The company faces stiff competition from Amazon.com, MIcrosoft, and others, and despite an 11% increase in strategic imperative sales in the fourth quarter, total revenue still declined 1% year over year. 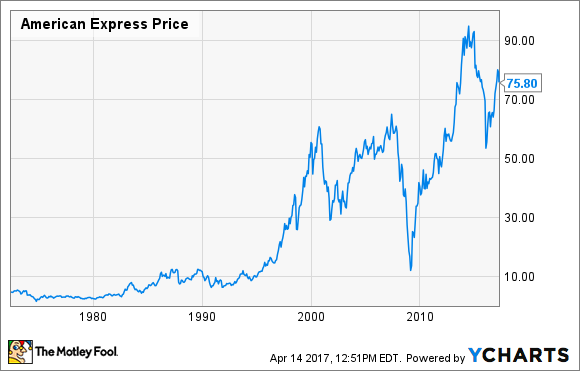 American Express (NYSE:AXP), the global credit card giant, is Buffett's fifth biggest position, and his interest in American Express dates all the way back to the mid-1960s. Unquestionably, it's been a big winner for him. American Express has survived multiple banking crises over the decades, including the Great Recession, when bad debt and charge-offs soared, and Buffett's been an unwavering shareholder, owning a position worth $10 billion that makes him the company's biggest investor. His cost basis is about $1.3 billion, so he's got plenty of reason to be a fan of CEO Ken Chenault. Based on Glassdoor's 85% approval rating, Chenault's also got a lot of fans working for him. He'll be relying heavily on those employees this year as he continues efforts to return the company's top line to growth following the loss of an exclusivity deal with Costco. The loss of Costco revenue means Chenault's having to balance cost-cutting with increased marketing spending to maintain earnings and win more cardholders to boost sales. Although Chenault faces headwinds because of Costco, Buffett appears to remain confident in Chenault's leadership, and fortunately for him, Glassdoor's rating suggests workers remain confident too. Certainly, there are some good reasons for optimism. The U.S. economy is growing, wages are up, and charge-offs and delinquency's on credit cards are down. Assuming those trends hold up, it's probably wise to bet on Chenault's success.